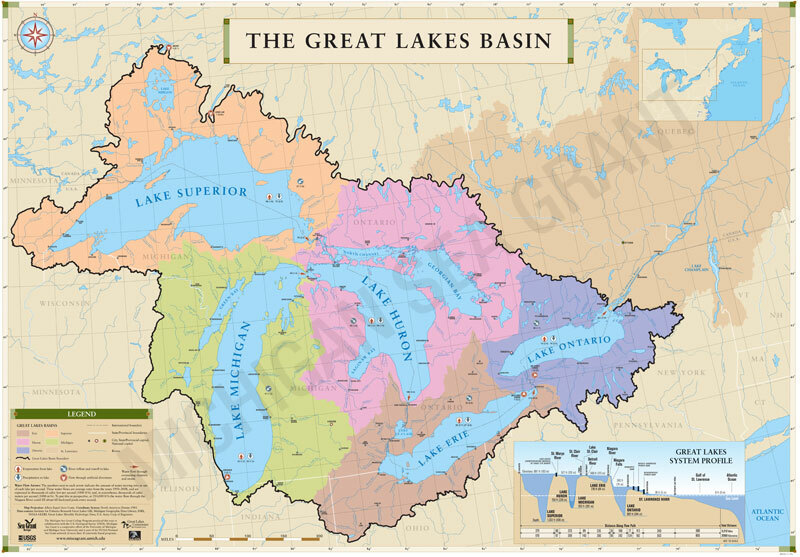 We’re used to troubling news about the Great Lakes basin — Asian carp, zebra mussels, habitat degradation, fluctuating water levels, algal blooms, chronic wasting disease, lead-poisoned drinking water, endangered species and other problems. But we pay less attention to promising news with useful findings from science and public policy experts. 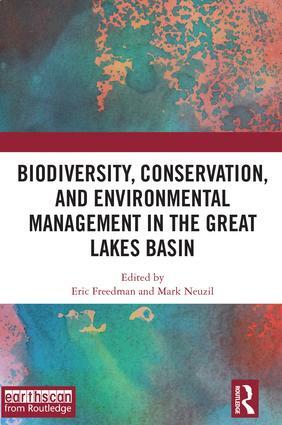 I learned a lot about promising news as the co-editor of a new book, “Biodiversity, Conservation and Environmental Management in the Great Lakes Basin,” published by Routledge. Co-editor Mark Neuzil, a journalism professor at the University of St. Thomas in St. Paul, Minnesota, and I saw a need for an in-depth look at groundbreaking research that may shape the future of the ecologically unique and economically vital Great Lakes basin. The basin encompasses parts of eight U.S. states and two Canadian provinces and contains an estimated 179 native fish, 75 native mammals and a rich biodiversity of plants, forests, birds, reptiles, insects and amphibians. Yet it’s also a region where millions of now-extinct passenger pigeons used to blacken the skies until overhunting and disappearing habitat wiped them out. We enlisted the help of experts from the United States and Canada. U.S. experts came from the Great Lakes Science Center, Michigan State University, University of Wisconsin-Parkside, University of Michigan, the Gun Lake Tribe, University of St. Thomas, University of Minnesota, Notre Dame, University of Nebraska, the U.S. Forest Service Northern Research Station, Dartmouth College, St. Cloud State University and the U.S. Fish & Wildlife Service. Canadian experts came from McMaster University, Brock University, city of Sarnia, York University, University of Guelph, University of Toronto, Anishinabek/Ontario Fisheries Research Centre and Lakehead University. They did their research in places as diverse as Lake Huron’s Georgian Bay, a northern forest that straddles the territory between Michigan’s Upper Peninsula and Northeast Wisconsin, Sudbury, Ontario, and the Red Cedar River near Lansing, Michigan. We learned about artificial reefs and reef restoration, about the impact of dam removals on fisheries, about conflicts concerning agricultural irrigation and about how endangered freshwater turtles survive in a changing landscape. We also learned about the legacy of toxic chemicals, citizen engagement in managing natural resources and cooperation between Native Americans and conservationists. The research reflects the real-world interplay among geography, hydrology, climate, economics, biology, politics, culture, history and human emotion. The book’s four closely connected themes overlap: a) habitat, conservation and restoration; b) extinction and survival, c) pollution, climate change and invasive species; and d) public policy. The region’s environmental problems and potential solutions ignore national, state or county borders. Lessons about the invasive emerald ash borers, the movements of predators and nutrient pollution of waterways are relevant throughout the Great Lakes Basin. However, borders have political and diplomatic significance. That reality suggests questions about which governments assume what legislative, regulatory, remedial and protective steps to safeguard the basin’s natural resources. Those questions arise when determining who’s responsible for monitoring ballast water, repelling Asian carp, cleaning up abandoned industrial sites and promoting renewable energy. Should it be a state or provincial legislature, a federal agency, a bi-national organization or a local government that protect wetlands, restore fish habitat, manage forests, cap pesticide use and determine which species can be hunted? Should private industries be trusted to shoulder some of those responsibilities? What about nonprofit and community groups? What roles should scientists play? If there’s a single overarching lesson, it’s that high-stakes environmental issues in the Great Lakes basin are complicated, making it tough to craft realistic and publicly acceptable policy alternatives. But ongoing scientific research is essential to making credible decisions. This research is great news but was such comprehensive research ever done decades ago with the International Joint Commission? to make any environmental changes to the degradation that continues? And as the planet continues to battle with higher temperatures, the question that concerns many Canadians is the possible and very likely future diversion of Great Lakes water to various U. S. locations, many of which seem to be just fine ignoring their chemically damaged or depleting water supplies, all while continuing their wasteful water practices. Regardless, thanks to all who contributed to what appears to be a monumental piece of research! How is it in all of this research they did not come upon “Ice Boom Theory”? I suspect they were told by the Power Authority to not mention it. Otherwise how can they fail to mention the single biggest threat to the entire Lower Great Lakes? The stalled conveyor does far more harm than every other problem COMBINED!